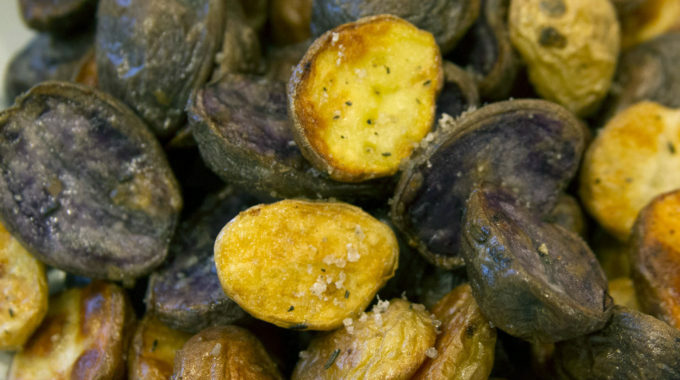 Cut potatoes in half lengthwise, toss in a bowl with the EVOO and rosemary rub. Put out onto a baking sheet and spread out into one layer. Roast for 30 minutes. Stir potatoes to turn over any that are not browned. Roast 10 minutes more. 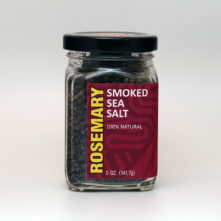 To serve, sprinkle with a little more Hawaiian Volcano Rosemary Rub & white HV sea salt to taste. Enjoy!